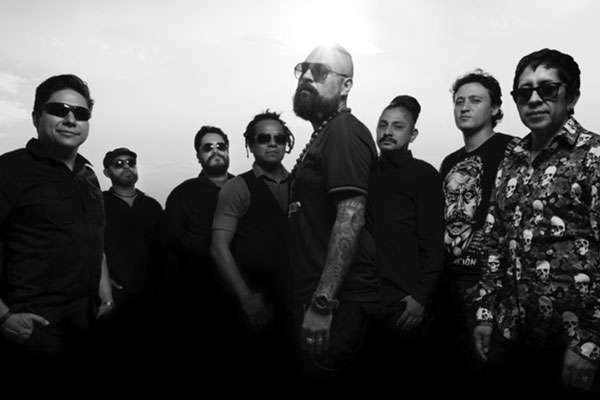 Panteón Rococó is a Mexican ska band from Mexico City. Despite flourishing black markets, they have sold thousands of records. While being stars in Mexico, they have been touring Europe for the last several years, especially Germany, where their European Label Übersee Records is located. Panteón Rococó blends several styles of popular music such as rock, punk, salsa, mariachi, reggae, ska, and also mestizo-music into a very energetic, groovy sound. As they are very political people and support the EZLN in Chiapas, some of their lyrics contain political statements, while many others works are love songs.